If you're a fan of rhythm games (like me), especially stuff like Audio Surf and Beat Hazard, then Star Fields may be on your radar... Or Steam Wishlist in this case. Can't blame you one bit as A. 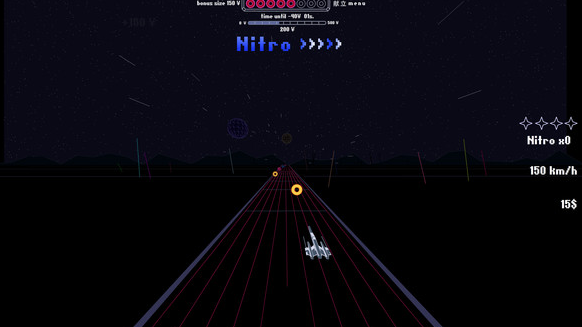 It is a game where you get to use your digital music collection with it. B. It's cheap. C. It's really bloody cheap. It sounds too good to be true right? Well... (Click on "Read More" to read the full article). There's no story in this game but I will make one up for you. There's a hip new street gang in town, they are called the Crosses. A gang that lives by two rules: Live a straight edge lifestyle and rule the streets with their fist. This gang lives in Gridsville, where they are in an epic war against the other gang in this neon filled city... The Noughts! The Noughts live by the corrupted style of being loaded and loaded, meaning that they like to drink, they like to drink, they like to shoot, and oh yeah, they like to drink. Just because they are drunk 99% of the time, that doesn't make them any less dangerous. They are quite skilled and the more they drink, the more powerful and skillful they become... Just like Popeye and his Spinach. The Noughts have gotten desperate and they all occupy Line Street. The Crosses send in their army but their sober soldiers are no match for the drunken keg-lords and they get slaughtered. The leader of the Crosses, Kris has no choice but to wave the white flag but little does he know that the reserves have been working on something special... A juggernaut of a machine called the Star Fields. A vehicle that has super speed and an unlimited supply of Un-Tranquilizer darts and a limited edition one track player. They must work quick for if they want to save their fellow members from this hell on Earth! You play as a rocket ship and you finish levels by earning money by shooting at circles. The level will be over when you have earned the required amount of cash that you need. The circles also come in different colors and shooting a bunch of circles of the same color will give you a bonus. Shooting at the crosses is a no-no and the game will punish you by taking away some of your money. You will also be punished by a timer that will take money from you when it has counted down to zero. There's nothing you can do to slow it down and it will reset once it has taken your points away, so you gotta act fast, sucka. You do get a nitro boosts power up that will send you zooming across the levels. You can only boost a certain amount of times but you can gain boost back by shooting at ninja star looking things that are spread throughout the game. This sounds like a fun and exciting game but it's anything but. The levels are slow and it doesn't generate much to shoot, so you are left playing levels that are very bare most of the time and it does get very boring all too quickly. You'd think that it will get better the deeper you get into the game but it doesn't, the levels aren't that much different from one another and it gets super repetitive to the point of annoyance... And it also put me to sleep. If I can say one nice thing about the game, it's that the controls are basic and functional. The graphics aren't terrible but there isn't anything much going on with them (big surprise). There's not much detail and the characters and objects look bland and unpolished. The game is clear though and I didn't have a problem seeing all of the obstacles that were in front of me. Animation is passable, no problems there. The game does open up by saying that it uses Flash (the software) to operate, making the quality of this port to be a very questionable one at that. The soundtrack in this game is what you want it to be... As long as it's an MP3 file. It's a neat feature but it doesn't add any fun to this bland game, actually, it makes it worse! No matter what song you pick, no matter how good it is, I hope you like listening to the same song over and over again. Yup, the track doesn't move on once it is over and it just repeats, repeats, repeats and it gets very, very, very annoying. I prefer to play this game with no music at all. These promo screenshots are terrible. 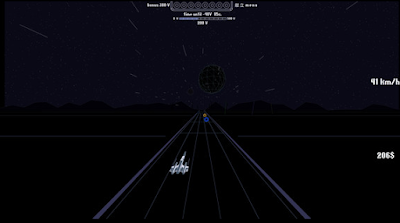 Overall, Star Fields is not a very good game and doesn't do a good job at what it is supposed to be. This is a game that you shouldn't play unless you want to scrape what's on the bottom of the barrel. Star Fields gets a 3 out of 10. Shame it was no good. Title screenshot drew me in. 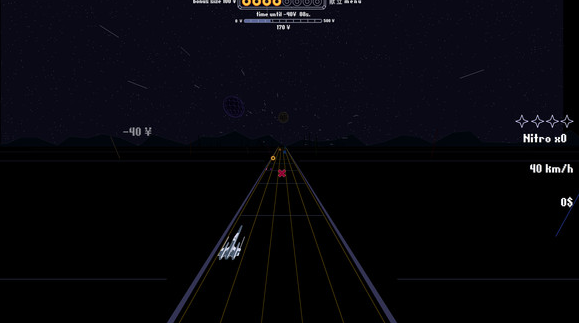 Looks like a discount version of audiosurf, which I would have been on board with. Good review man.